If you are arriving from Wendy's blog , you are on the right path. you can find a complete blog hop list here. will work with your Cuttlebug or other die-cutting machines. using a similar paper combination from this packet. varying directions and it still looks wonderful. with them and from the CTMH video about this great new product. You can see the Close To My Heart Thin Cuts video here. ShinHan TouchTwin markers, and then cut with the Thin Cut dies. 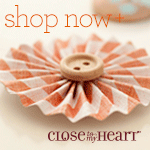 Click on any of the links below to go to my website to see these products. Just a note for my regular scrapbook club gals: This is one of the layouts that we will be doing in February using the Charlotte paper pack. Contact your Close To My Heart independent consultant to get your new Seasonal Expressions I idea book. If you don't have a consultant, I would be happy to help you out. Just visit me at my website. 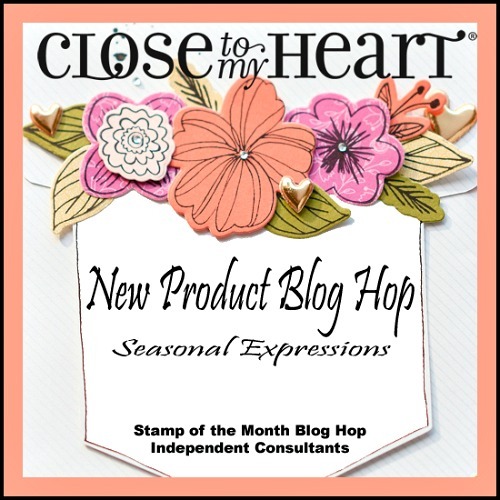 Now on you go to the next blog on the hop, Sheila Bennett to see what amazing new products and ideas she has to offer. 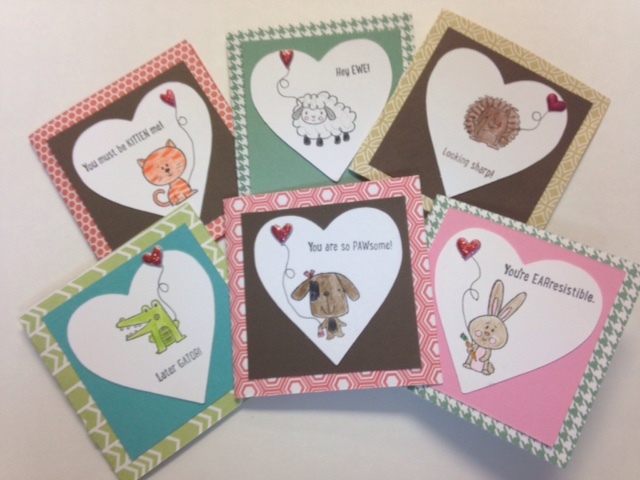 and possibilities for wedding and anniversary cards. 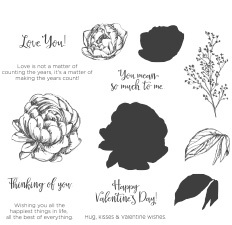 These beautiful images will also be great additions to your scrapbook pages. You can visit this link to see the set in better detail. As always, the stamp of the month is only available from January 1 - 31st for $17.95. However, you can get it for just $5 with a qualifying purchase of $50. Contact your CTMH consultant or visit my website. If you are coming from Brenda's blog, you are on the right path. 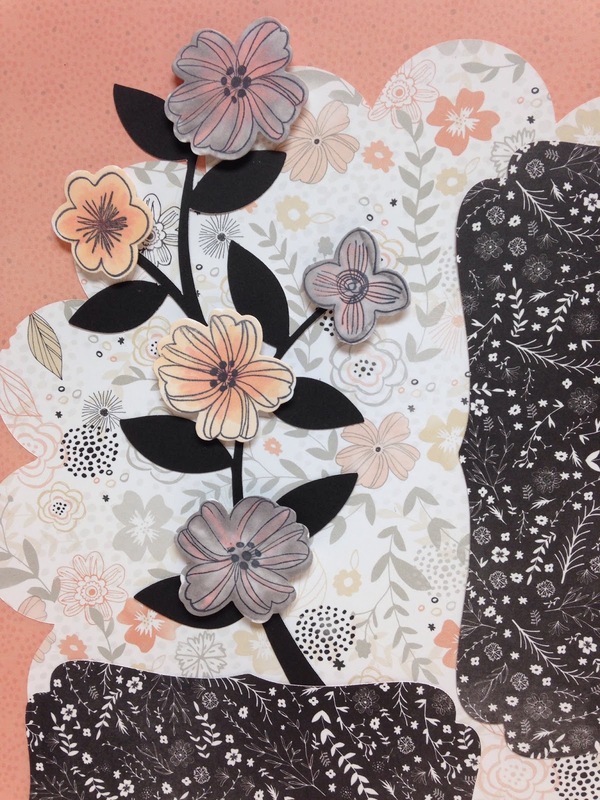 To shade in each flower I used ink and sponge daubers. 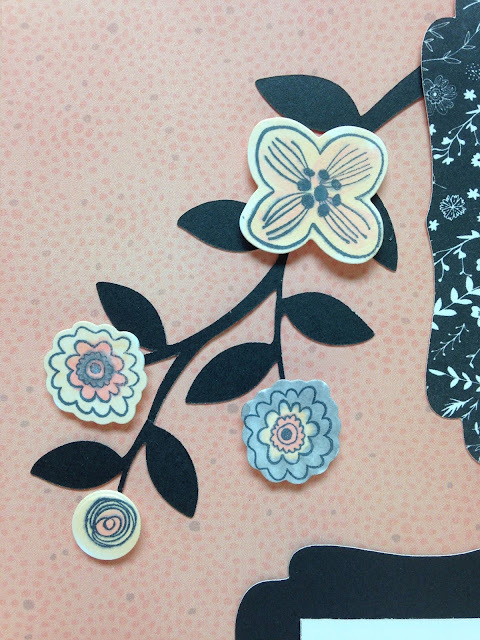 Each of the flowers is raised using 3-D Foam tape. I took the following photos at an angle. Slate card stock. Happy Anniversary is from another stamp set. C1605 Happy to Be Friends. 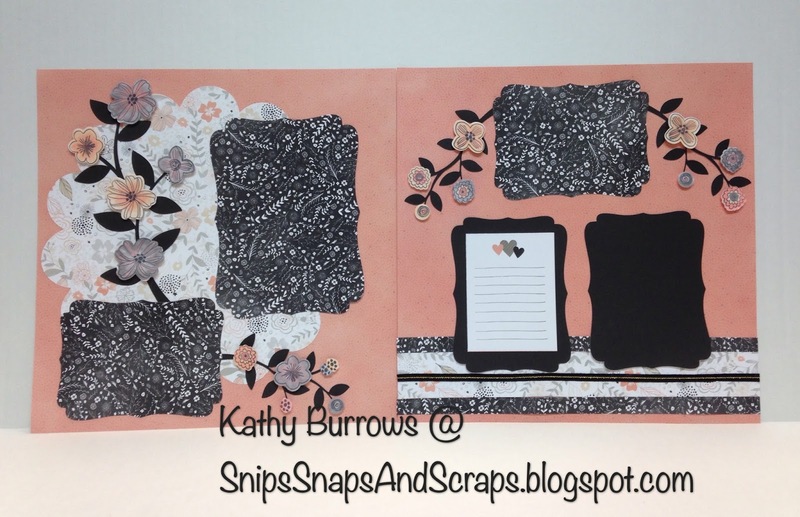 For this card, I used Canary and Fern ink, White Daisy, Black, and Canary card stock. 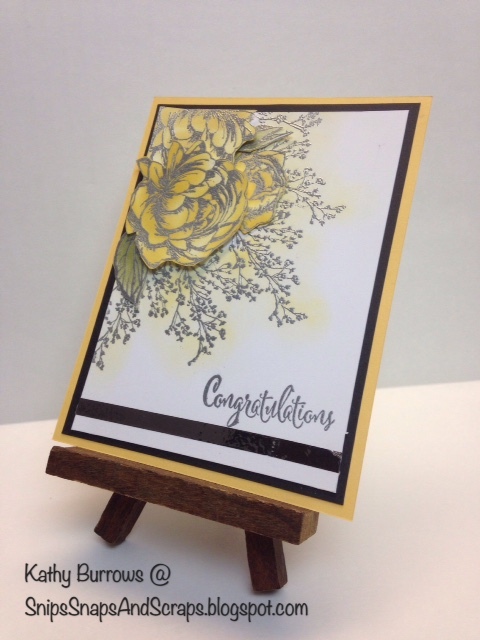 Congratulations is from another stamp set - D1629 Just to Say Cricut Collection. The strip at the bottom of the card is Silver Foil Tape, however, it looks black here. 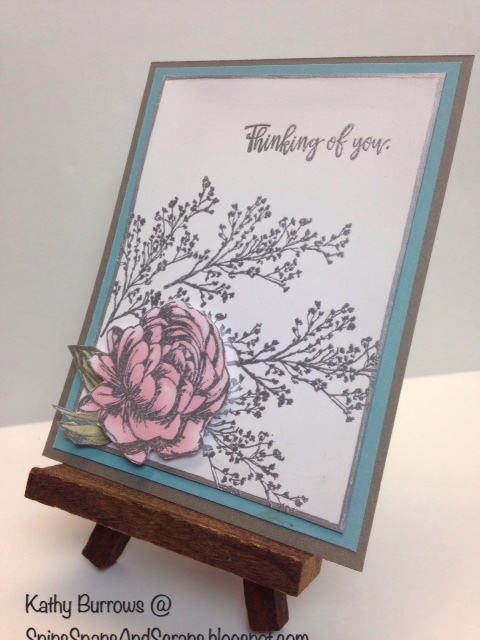 For this card, I used Pixie and Fern ink, White Daisy, Crystal Blue, and Slate card stock. 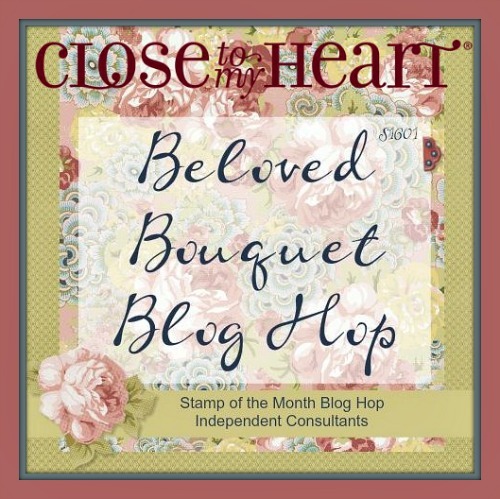 Thinking of you is from this stamp set, Beloved Bouquet. 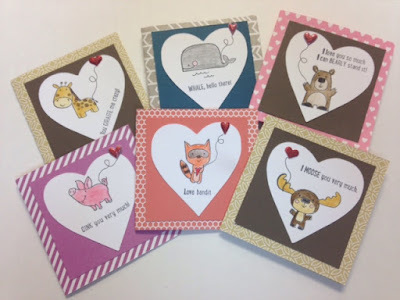 There are over 30 more great ideas for using this stamp set in this blog hop. Be sure to visit everyone. Your next stop along this hop is Jean McNulty's blog. If you get lost along the way, you can find the complete list of blogs here.